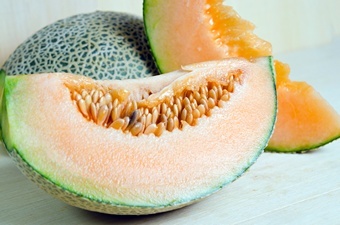 More than 80 people have been struck down by a national salmonella outbreak linked to a brand of rockmelons, as health authorities warn pregnant women, infants and the elderly to avoid eating the fruit. Red Dirt Melons – a Northern Territory-based supplier – is recalling its rockmelons after Food Standards Australia New Zealand (FSANZ) launched an investigation into a spike in salmonella cases in several Australian states. The salmonella bacteria was detected by health authorities in South Australia on August 2. Rockmelons on the Red Dirt farm tested positive for the bacterial strain, FSANZ confirmed.